Vinay Sitapati’s biography of PV Narasimha Rao shows the ancient influence on this modern politician. 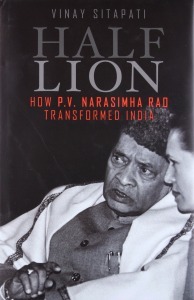 Though unintentional, Vinay Sitapati in his book, Half-Lion: How PV Narasimha Rao Transformed India, has painted the former prime minister as the poster boy for the discourse on Kautilyan tradition. Rao’s private papers indicate that much of his thinking was Kautilyan, consciously or otherwise, to an extent that even his biographer may not recognise. Narasimha is the Hindu destroyer of evil and establisher of dharma, and embodies contradiictions. Rao was true to his name. He had grown up on stories from the Ramayana and the Mahabharata, and his favourite was the sixteenth-century Telugu text Raghava Pandaveeyam, which, with the same set of words, could be read as both the Ramayana and the Mahabharata, adopting the style of anuloma and prathiloma. 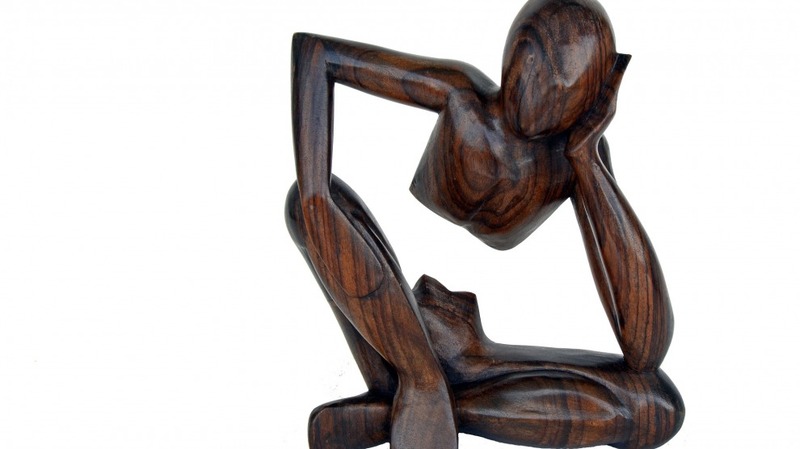 This appreciation of dualism and contentment with ambiguities exemplifies Kautilya’s Arthashastra. For Kautilya, the king’s training in philosophy was paramount. He was schooled to grasp the inherent dualism of samkhya, understand the balance provided by the materialism of lokayata, and was conditioned towards the inevitability of action (yoga). Unlike Nehru, “Rao’s roots were deep in the spiritual and religious soil of India. He did not need to discover India.” With great adroitness, he reflected the contradictions of a religious Hindu and a secular Congressman, and of a principled individual and an immoral ruler — a quality he attributed to the brilliance of the Hindu philosophical tradition. Rao is best known for economic liberalization. Where the right decision made good political sense, he could act with remarkable speed. This, in essence, is Kautilyan raison d’e′tat which integrates the fundamental values of maintaining and expanding the power of the state and ensuring the welfare and security of the people. The increased revenue generated by the spurt in economic growth was directed towards the poor through welfare schemes. His approach was Kautilyan. His coterie of advisors was periodically tested for loyalty. A clandestine document of the Intelligence Bureau reveals the policy position of all the Congress MPs on the four major kinds of economic reforms that the government unveiled. Sitapati rightly notes that Rao deployed all means – sama (conciliation), dana (gifts), bheda (dissension) and danda (force) to prevail upon the opponents of reform. Rao comprehended the balance between artha and dharma/rajadharma. While India needed the United States on its side to keep the economic reforms apace, it could not afford to give in to US pressure and compromise national security by capping its nuclear programme. Spearheaded by the economic reforms, India’s might translated into a new status which the US could not afford to ignore. He had set the stage for the 1998 nuclear tests. Kautilya’s dictum for dealing with internal rebellions was firm – use of all means except force against the citizens. Rao was in the Ministry of Home Affairs when the Indian army stormed into the Golden temple in 1984. He had spent time with a number of Sikh leaders to understand the problem and arrive at negotiated solutions. He thought that the Centre should handle the greatly emotional, regional, and religious issue by playing a fox instead of lion. Similarly, he showed sensitiveness in Kashmir when it was boiling in the early 1990s. While he believed that the danda and military rule was acceptable up to a point, he emphasized that it was the people who had to be dealt with. The upaya cluster served as the ‘guiding principle’ for the deployment of measures to manage the insurgencies. Rao’s dual personality allowed him to invoke these measures simultaneously, and therefore, effectively. Rao’s raw political instinct made him a ‘natural’ in the realm of foreign policy too. The new global environment and the fluidity of Indian economy made peace a prudent choice, and reaching out to the US, a strategic one. How then did he reconcile with the tallest pillar of independent India’s foreign policy — nonalignment? We have this great tradition of interpretation, the Bhashyakara… Nehru took the text from Gandhiji. He moulded it, interpreted it, so as to be in continuity with Gandhiji and still different from what he started with. The highlight of India-China relations during Rao’s term was the signing of the ‘Agreement on the Maintenance of Peace and Tranquility along the India-China Border Areas’. He delinked the irreconcilable border dispute from other aspects of the bilateral relationship. Partially, this helped keep the defence expenditure through the troubled 1990s around 2.4-2.8 percentage of GDP. The essential elements of renouncing force to settle border disputes and upholding status quo echoed Nehru’s words in the Parliament post 1962 war, and therefore won supporters. Prime Minister Rao’s new year card for the year 1992 read — “Change is the only constant”. The sketch of a spinning wheel gradually transforming into a mechanical gear was symbolic of the evolution of tradition, and not its abandonment. It is this ‘ancient palimpsest’ tradition that has arguably helped keep the legacy of Kautilya alive. Vinay Sitapati has sought to throw light on Rao’s contested legacy through a well-researched exercise. His attempt to resurrect the image of both an obscure Prime Minister and an ancient strategist (the former more persuasively than the latter) has illuminated our understanding of Rao’s politics. Kajari holds a postgraduate in International Relations from Jawaharlal Nehru University. She is currently pursuing a PhD at the Department of Political Science, University of Hyderabad. Her research focuses on the concept of ‘strategic culture’ in the Indian context. She teaches Kautilya’s Arthashastra for a strategic studies programme at Takshashila Institution.